Callum joined Henderson Reeves in 2017 having completed degrees in law and applied science at the University of Otago in 2016 . Callum specialises in civil litigation and dispute resolution. He provides advice and representation in commercial litigation and disputes. He has particular skills in contractual issues, insolvency and liquidation, negligence claims and disputes involving trusts. 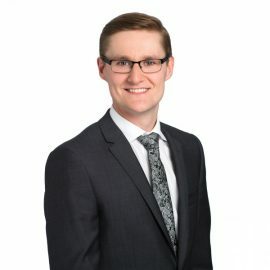 Callum has successfully represented clients in the District Court and High Court. He is focused on providing commercially realistic and pragmatic advice. Outside of work Callum enjoys mountain biking and heading to the beach.